Our jetting and flat surface cleaning helps provide that welcome to my lovely home greeting not just for your selves but your guests, friends and family. A clean surface has the added value of being safer under foot, reduces grime treading through your entrance hall and a friendlier play area. Remove those years of surface dirt using power jetting lances, flat surface rotary cleaner or telescopic pole. 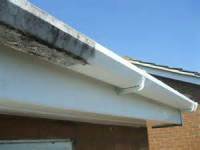 Blocked, broken guttering and down pipes are the cause of property damage, damp walls and rotting timbers. The sight and smell of a blocked drain is an occurrence you have no need to suffer. 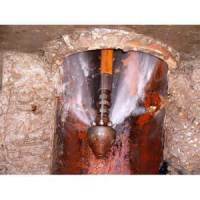 A fast response from our drains section will clear your drains pipes and traps.